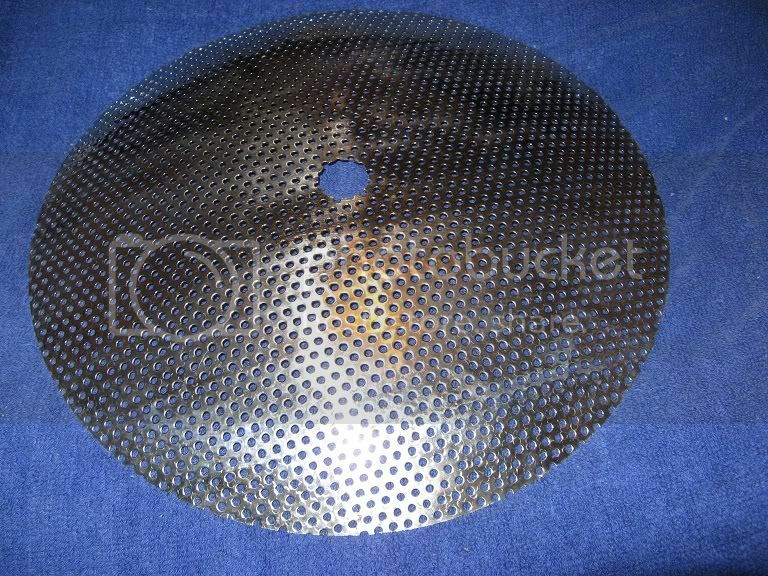 A keg-mash-tun false bottom (like the one shown below) costs about $60-70 around here, and while they are solid and do a good job, it was a bit on the pricey side. I also needed some perforated stainless to use as a hopback filter, and buying even small amounts of it is difficult to find or expensive. After some searching, I found some perforated stainless on the RS Online website for about $50 inc tax. The hole-size was the same as the unused false bottom I had, but the open area was a little greater and the steel was also thinner. 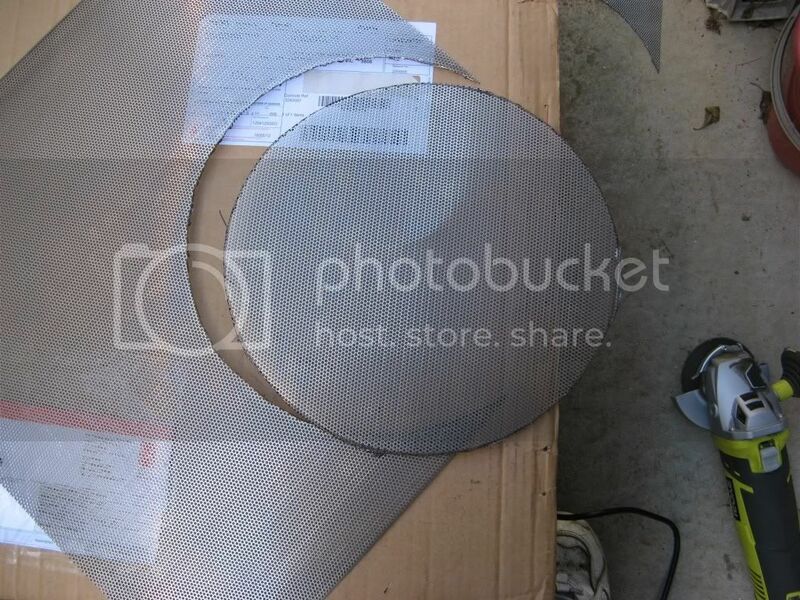 But without finding a better alternative, I decided to sell the false bottom and purchase a sheet of perforated stainless from RS Online - the only problem was that their minimum purchase was for 2 sheets. The good thing about the 500x500 sheet was that I should be able to make the mash-tun false bottom, kettle filter and the two hopback filters from the single sheet. 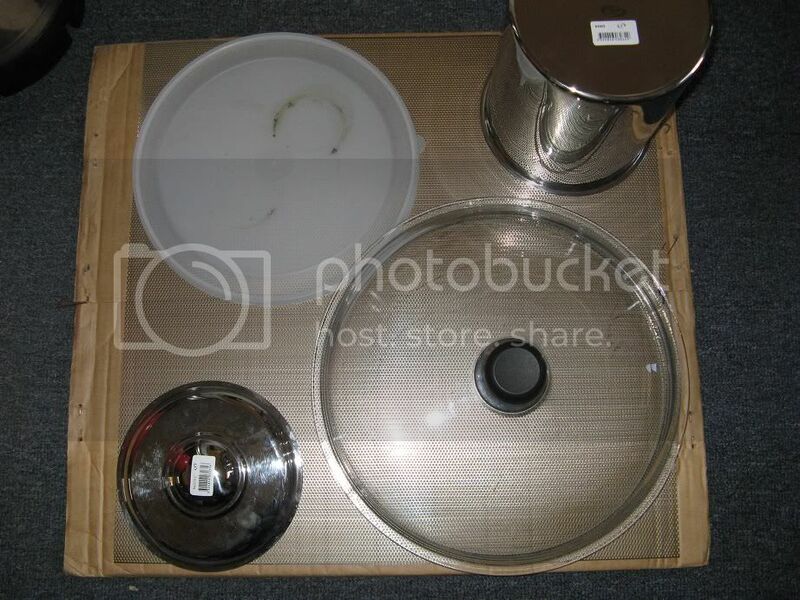 In order to fit them all from the same sheet, the kettle filter needed to be slightly smaller than the usual 30cm diameter false-bottom, but the slight decrease in size should not make much of a difference. With a little care the perforated stainless was relatively easy to cut with a cutting disk on the angle grinder. 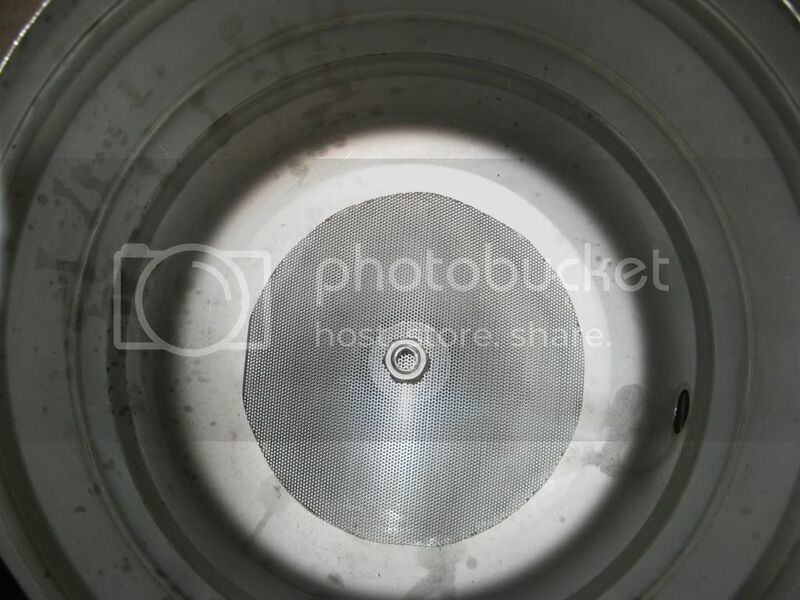 After cleaning up the edges with a grinding disk and a hand-file, the false bottom fitted in the keg mash-tun well. However, since it's significantly thinner than the commercial false bottom, it can't easily be bent into a dome, and it may struggle to hold the weight of the mash. 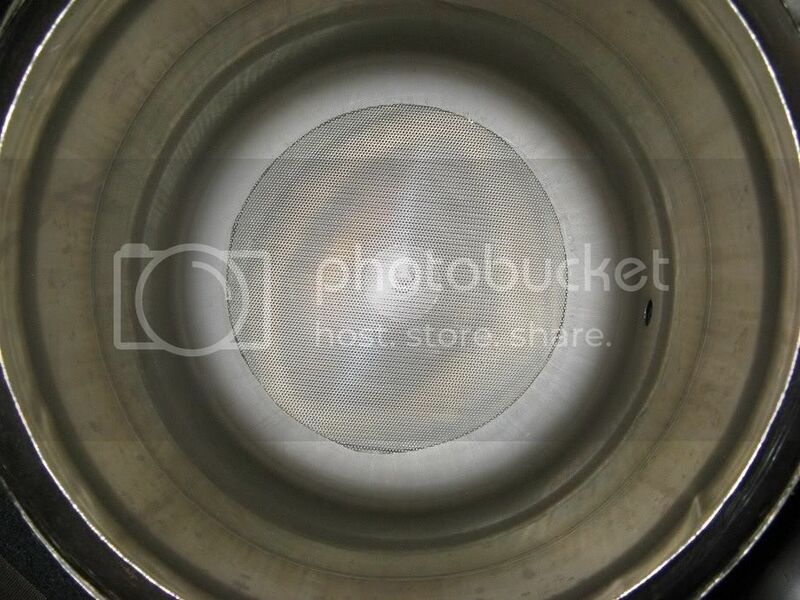 So what I plan to do is use a 1/2 inch connector that attaches to the outlet and supports the center of the DIY false bottom. The kettle filter was a little smaller and slightly less round, but it still should do it's job more than adequately. 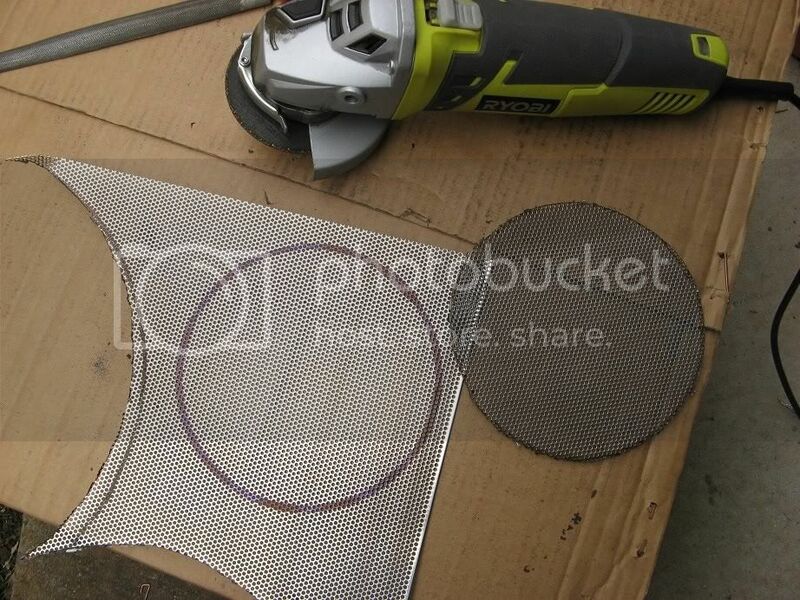 Due to the smaller size, inability to measure exactly and the fact that they must fit inside the container exactly, the filter-plates for the hopback (which can also double as a post-kettle filter and mash-grant) were more time consuming to make. 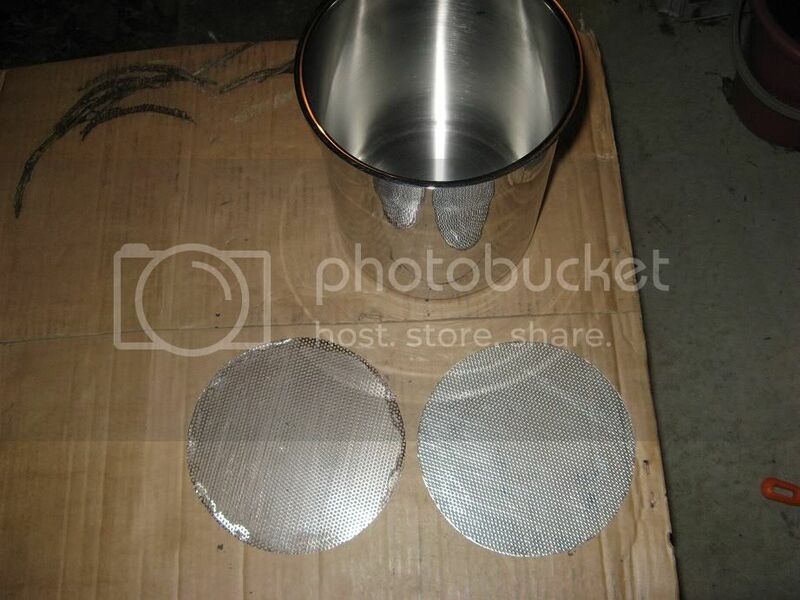 By measuring around the outside of the container and then gradually grinding down the edges, I was eventually able to make two round filter plates that fit exactly inside the stainless container. The hopback (filter/grant) still needs stand-off bolts fitted to hold the perforated stainless filter plates in place and inlet and outlet holes drilled and fitted - so more on this later when it's complete.